﻿ How HomeCare Works | PrimeCare Nursing Services, Inc.
PrimeCare offers a free RN in-home consultation and assessment to discuss your service needs and answer any questions you or your involved family members may have. Our consultation is designed to help you feel more comfortable with allowing our Care Team into your home to provide that much needed assistance. We develop a customized care plan outlining all tasks and a workable schedule, whether that’s a few hours per week, or more focused care that can result in daily care. We do not require a contract for any minimum amount of time or duration of services. There is a service agreement to clearly identify the services you decide upon, and the respective costs. Changes can be made at any time with a call to one of our Client Service Coordinators. Contact us today to get started, or to receive more information about how PrimeCare can help your loved one maintain healthy and independent living in their home. 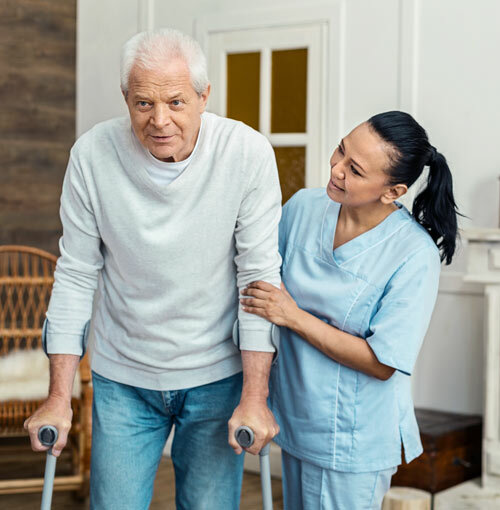 While PrimeCare caregivers are well-trained, we will also provide additional specialized training for unique client circumstances. We are also able to train your involved family or friends who are assisting with your care needs. Call PrimeCare Nursing for a free consultation. Specific physical needs with regards to bathing, grooming, dressing, meals and diet, mobility and incontinence. Specific emotional needs such as social interaction, activities, conversation, appointments and companionship. Specific assistance needed with preparation of meals, groceries, linens, laundry and light housekeeping. Schedule logistics and how to work with our Client Service Coordinators regarding any conflict or changes.